The second sheet mask I’ve recently tried was the Neutrogena Hydrogel Recovery Mask. 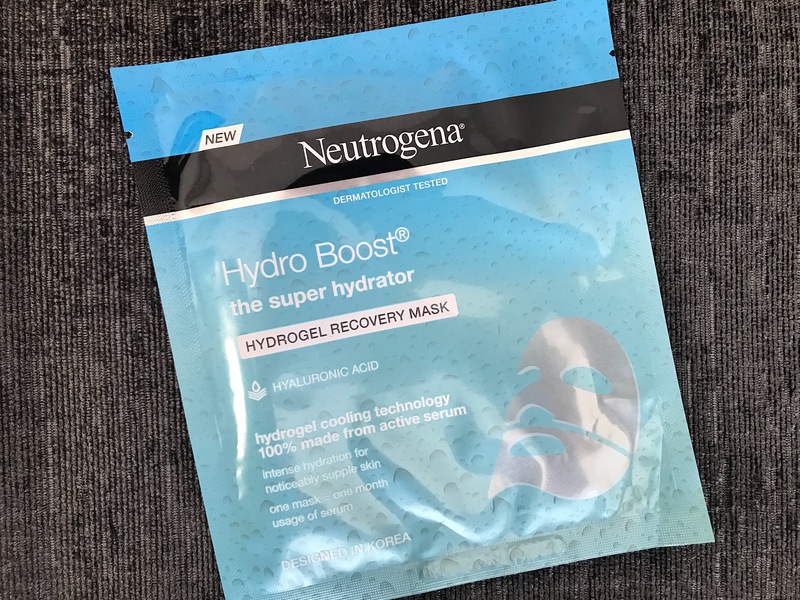 I’ve been eyeing up the Neutrogena Hydro Boost range for quite a while and I thought a good first step into trying the range was to test out their new sheet mask. It’s strap line on the front of the packaging explains this products as “hydrogel cooling technology 100% made from active serum. Intense hydration for noticeable supple skin. One mask = one month usage of serum” Sounds pretty promising right?! As I took it out of the packaging the first thing I noticed was the texture of this mask. It’s like a jelly silicone material soaked in the Hyaluronic Acid, and comes in two parts in order to fit better to your face. I will save you the face-mask selfie for this post as it did look a little strange as the mask was almost see-through – made me look plastic, but gave the husband a bit of a fright when he walked in so it’s worth it just for that! What I did like however is that the eye and mouth holes of the mask could be covered by the mask material if you wished to give your whole face a moisture boost. One thing I did love about the texture of this mask is that there was no dripping from the mask, which often I’ve found with soaking wet sheet masks. So did it bring ‘one month usage of serum’….? I’m not convinced at this statement! I left the mask on for a total on 30 minutes. As I removed the mask from my face, my skin did feel very soft and bouncy – between you and me it felt quite soothing after a night of drinking the night before…! 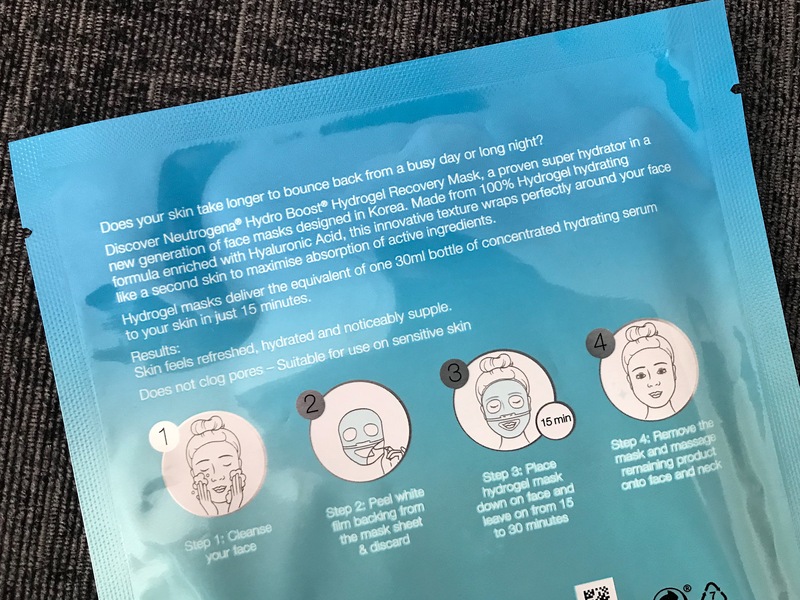 But as a regularly user of Hyaluronic Acid, I didn’t feel this mask brought me any extra hydration in comparison to applying a serum the night before. Have you tried anything from the Neutrogena Hydrogel range yet? If you have read my post back in December you will know that I signed up for a 3-month membership to Beauty Pie. And if you aren’t sure what Beauty Pie is, have a look back at my previous post here. Since then I have made my final two Beauty Pie orders and wanted to give you an update on my thoughts of the brand. I made my second order in Dec and picked up; Super Retinol (+ Vitamin C) Night Renewal (rrp £75 / member cost £8.37), Powderstick Matte Lip Crayon in Guilty Girl (rrp £18 / member cost £3.47) and Fantasticolour Sculpting Lipstick in Rebel Ruby (rrp £18 / member cost £2.66). With the membership, Beauty Pie give you a monthly allowance of £112 (rrp) but you’ll basket will only charge you the member-cost (at factory prices). What I however quickly realised is that if you want to buy their skincare range, that £112 limit does not stretch very far. With my final order, I bought; Super Pore-Detox Black Clay Mask (rrp £50 /member cost £6.15), Unbeatable Concealer in Shade 75 Neutral (rrp £20 / member cost £4.10) and Wondercolour Nail Polish in Le Milk (rrp £14 / member cost £4.10). Starting with skincare, since the buzz surrounding acids lately in the beauty industry, I was most excited to try out their Retinol Night Renewal from their Retinol range they released in November. I was just a little disappointed I couldn’t order more from the range though due to the membership budget limit. 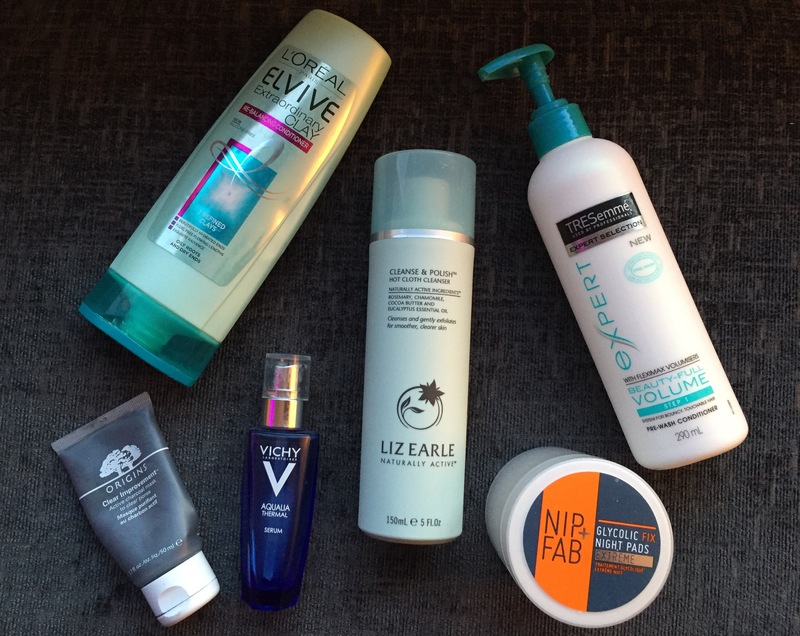 After looking through the range I opted for the Super Retinol Night Renewal cream. I’ve used it for a couple of weeks now but I’ve not seen a huge difference if I’m honest, but I will keep you posted on my progress. I do however have to say the pump on this bottle is a little naff, and in order to get a decent amount of product you have to pump the lid a fair few times. The Super Pore-Detox Black Mask however is really great! I’ve used it once a week since ordering it and I do think its made a difference to keeping any spots away, leaving my skin feeling super clean and un-clogged. The make-up items overall are great for the price tag too! The nail polish in Le Milk is my second polish from Beauty Pie, and I’m super impressed by the quality (you usually only need one coat of polish) and lasting power – I would definitely recommend trying their polishes if you are interested in signing up to Beauty Pie, and only £4.10 – bargain! I’ve also really enjoyed using both lip products – Powderstick Matte Lip Crayon in Guilty Girland Fantasticolour Sculpting Lipstick in Rebel Ruby. Both are really lovely shades and the texture of both styles apply really nicely. The best of the bunch though is the Unbeatable Concealer! Used under the eyes, it has full coverage and the texture means it stays in place throughout the day. So will I join Beauty Pie permanently? If I wasn’t such a beauty addict, wanting to try everything out there, I actually might spend £10 a month to be able to buy all my makeup from Beauty Pie. The quality is really good, but I would feel I needed to buy something every month. I would definitely however sign-up for a three month membership again in order to test out more of their skincare. From what I can see from their range, they are really trying to challenge the market, bringing quality products and ingredients at affordable prices. I would really recommend checking out Beauty Pie! Have you tried anything from Beauty Pie yet? Or will you be signing up to check out their products for yourself? I love a clay mask! My favourite being the Origins Clear Improvement Active Charcoal Mask but it can be a little pricey at £24.00. Although I have to admit it’s totally worth the money, I really wanted to find a cheaper alternative – I’m trying to save the pennies at the moment for my Wedding! Roaming the aisles of Boots, I discovered that quite a lot of brands were now bring out their own clay masks which is amazing and I’m going to make it my mission to try them all and report back. This time however I settled on trying the Sanctuary Spa Thermal Detox Mask. Reason being it was on offer at £6.67 (rrp. £10) but loved that is was a thermal mask. The Sanctuary Spa 5 Minute Thermal Detox Mask is a clay based face mask to cleanse and purify your skin. The self-heating mask warms the skins once you apply to your face and starts to open up your pores. The charcoal and kaolin clay then helps draw out impurities within your skin. It also contains soothing and calming myrrh oils which leaves your skin feeling cleansed and super soft. The thing I love most about this mask is that you only have to leave on your skin for 5 minutes to feel the benefits, which means it’s so much easier to incorporate in your skin care routine. It’s also non-drying so it doesn’t feel uncomfortable on the skin either. Rather than using it as a daily cleanser, I tend to use this more of a mask 1 to 2 times a week and I’ve found it’s helped to balance and calm my skin a the while keeping any spots or blemishes away – win win for me! 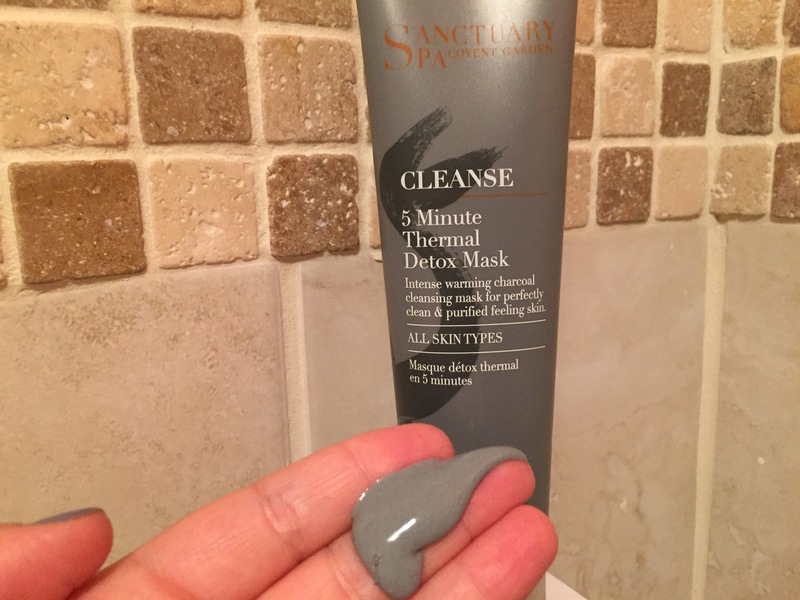 If you’re new to clay based skincare, I would definitely recommend The Sanctuary Spa 5 Minute Thermal Detox Mask as an introduction to clay masks, plus it doesn’t break the bank either. 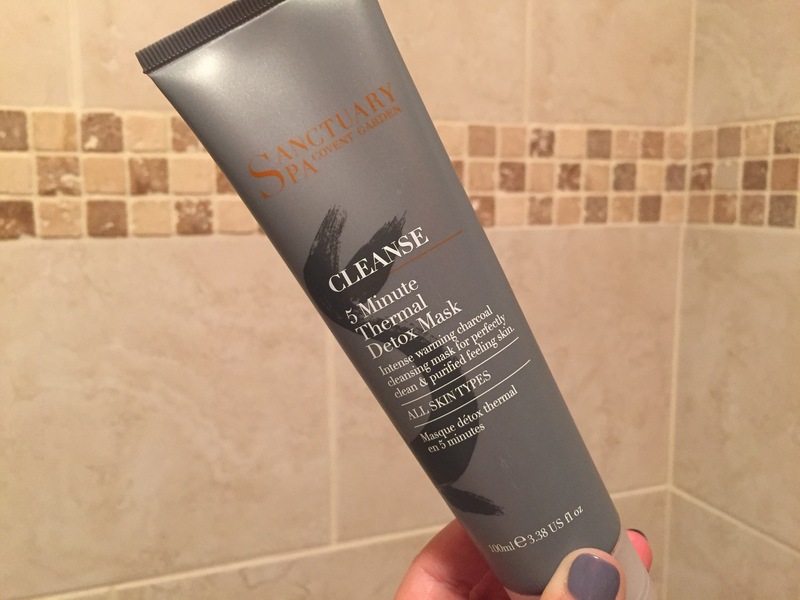 Have you tried the Sanctuary Spa Thermal Detox Mask before? 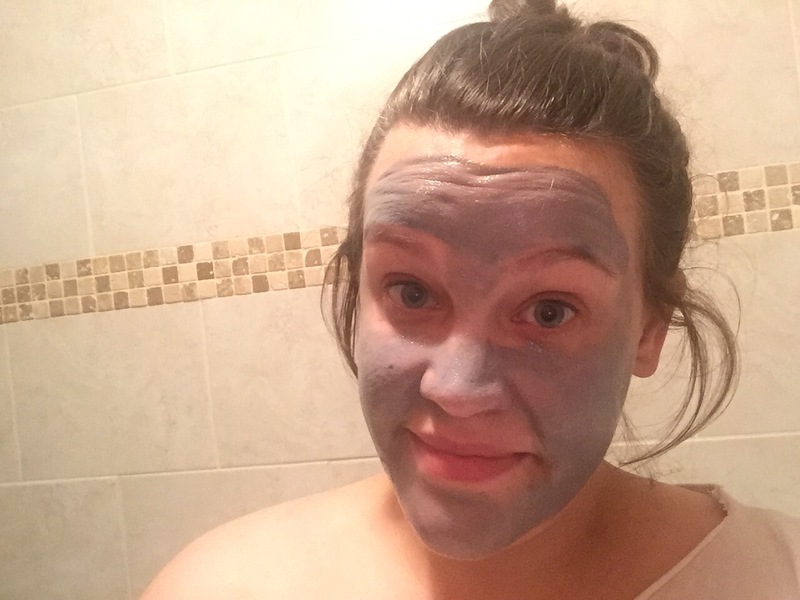 Is there another other high-street clay face mask you would recommend me trying next? Continuing to dive into my amazing goodie bag from the #BtonBlogMeet I attended a couple of months ago, organised by the wonderful Laura (from Lola and Behold), there was a travel sized tub of the Bee Good Youth Enhancing Lift and Brighten Eye Cream. I hadn’t heard a lot of about the Bee Good skincare range but since using their eye cream, I have been doing a little bit more research into the brand. Bee Good is a UK based skincare brand who pride themselves on making natural and cruelty-free products using the wonderful ingredients of honey, beeswax and propolis made by British Bees, all the while supporting our countryside’s and putting profits back into UK beekeeping cause to help secure the future of our British Bees. How amazing is that?! Eye creams have become a staple in my skincare routine, especially now being the other side of my twenties (shh!) I am more conscious of looking after my eyes as it’s often the first sign of aging. Your eyes however are a sensitive area, and the thought of putting something full of chemicals near my eye in order to smooth fine lines and wrinkle really freaks me out. That why the Bee Good eye cream is the perfect option to help hydrate your eye area and its completely natural, plus I love the thought that they are also investing profits back into helping our British Bees. Although I will still keeping my heavy duty eye creams in my beauty stash mainly using them at night to help soothe my eyes when they become sore, I will definitely using Bee Good Youth Enhancing eye cream in the daily daytime skincare routine. It’s such a great brand and I’m really looking forward to trying more from the Bee Good skincare range! Have you tried Bee Good skincare before? What would you recommend trying next?